When we speak about NAV on Azure, we expect Multitenancy as main strength. This is because, we expect an easy repeatability. 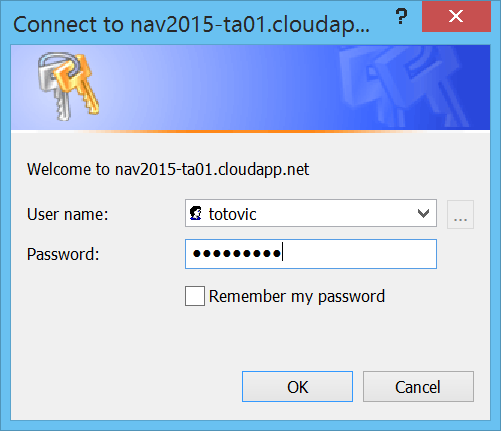 Now, I will explain how to achieve this goal using NAV 2015 image deployed on Microsoft Azure. You need to have a clean image deployment with running only “Initialize the VM pack” (must run it). Then, you need to run install.ps1 file from C:\DEMO\Multitenancy folder. 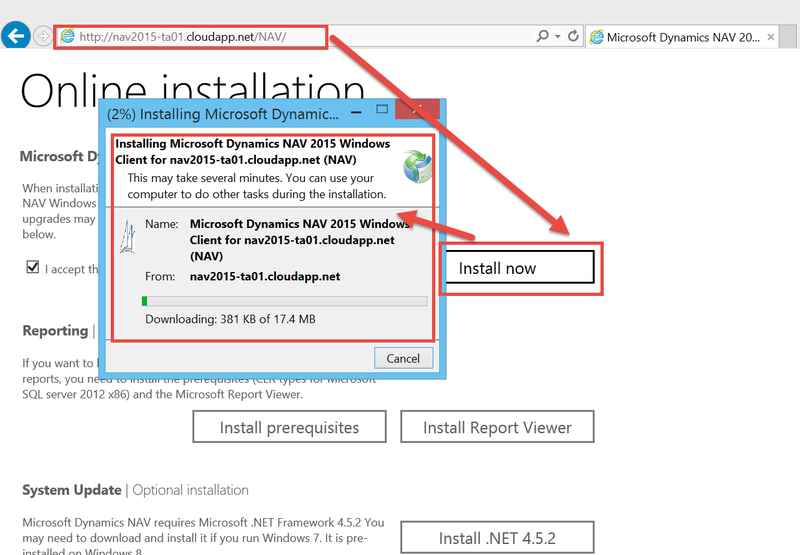 You can find it, when you click on Enable Repeatability from NAV on Azure Welcome Screen. 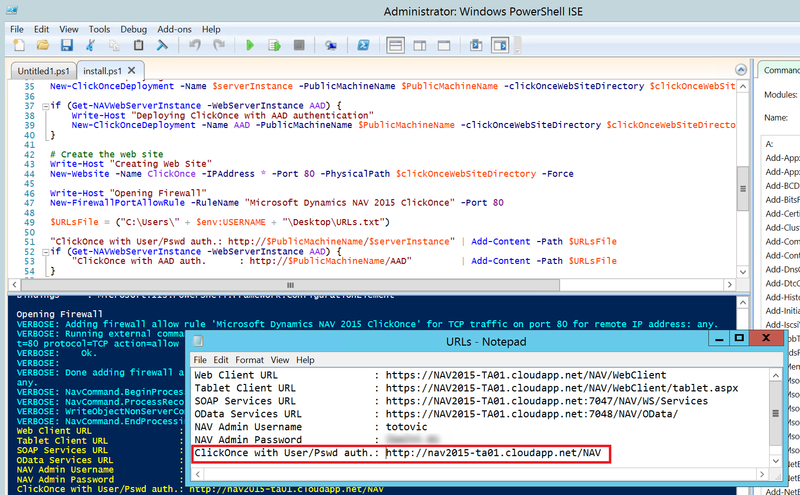 You can run this PowerShell file using PowerShell ISE. You could also rename tenant ID, if you want it. It has name “Default”, by default. After that, you can save and run your script. When script is finished, you will get URLs file with your new links with tenants. 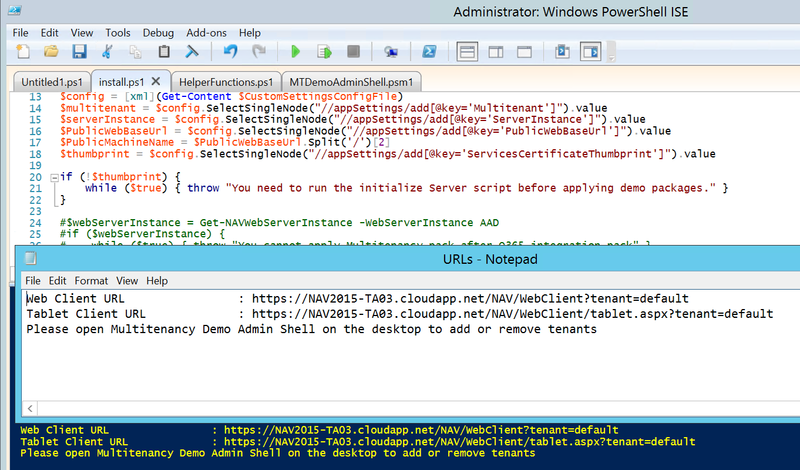 Now, you can use these new links to run your NAV 2015 with tenant. 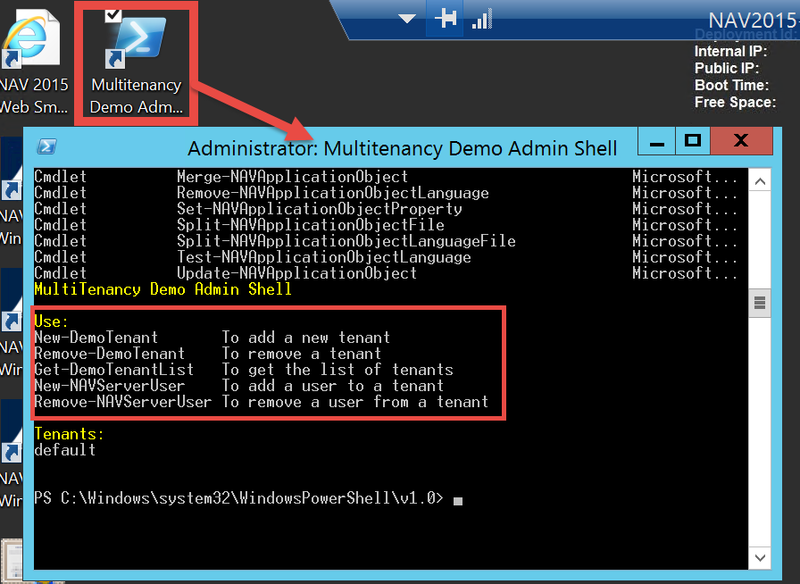 If you want to add new tenant or remove existed, you can do it running Multitenancy Demo Admin Shell from your VM desktop. You can also use it tool to add users to tenant or remove existed from tenant.